Many College tutors are also subject-specialists who can augment the academic support provided by departments: they won’t teach you per se, but they’ll help you to get a handle on the challenges of academic life. Other tutors work outside the University, offering students not just day-to-day support, but golden opportunities to discuss career prospects from a real-world perspective. Postgraduates regularly volunteer to help undergraduates working in the same field – especially if an undergraduate needs a bit of extra support in his or field of study; and students are invited to subject-specific events in College, where undergraduates, postgraduates and staff share their passion for their subjects. At St Chad’s, even though they are assigned a particular tutor, students are encouraged to approach other tutors, especially to explore career options, but also to seek other forms of advice. All tutors schedule regular meetings with their students (at least one per term plus a social meeting). The Senior Tutor ensures that the whole tutorial system is running smoothly and that the quality and level of support are just right. The Senior Tutor is available most days and can refer students to professionals outside the College whenever circumstances require it. In addition, the Principal, the Chaplain and the other resident College Fellows are available throughout the week. I am a widower and worked throughout my career as a civil engineer until I retired in 1996. I took an HNC in Civil Engineering qualifying as a Chartered Engineer and as a Member of the Institution of Civil Engineers and later, an MSc. 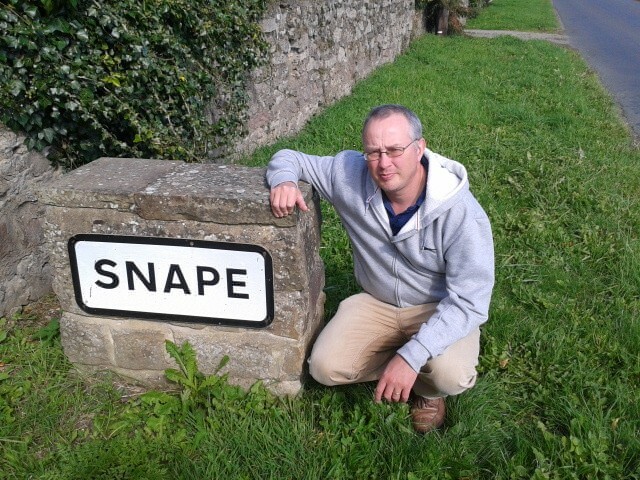 After retirement, I took a PhD at Durham following research in aspects of the Planning System. After serving articles with a consulting engineer and National Service in the RAF I did various design jobs until I joined Procter & Gamble in 1967. Following my first project, design of a Synthetic Detergent Plant, I spent over two years heading a building design group in the United States. I then spent nearly ten years in Brussels responsible for Building & Civil Engineering in Europe, latterly including financial and project activities. On return to the UK in 1983 I was responsible for corporate office design culminating in site acquisition and the design of new headquarters facilities at Weybridge. My interests at Durham are the Cathedral where I was Chairman of the Friends, and St Chad’s College as a College Tutor and former President of the SCR. General interests are my local church (I am Group Treasurer), art, antiques, architecture, books, conservation, engineering, golf, music (including singing in Newcastle Bach Choir ), planning, rugby, steam garden railways, travel. 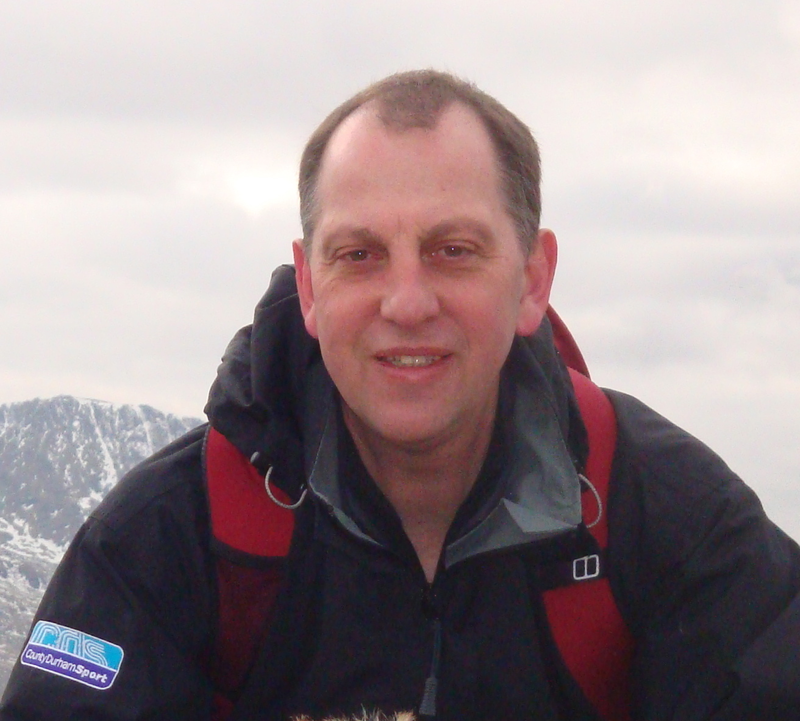 Del Atkinson is the Sir Gareth Roberts Professor of Applied Physics in the Department of Physics and is currently a Royal Society Industry Fellow doing research in materials physics for technology. He has been a Tutor at St Chad’s since 2009 and is returning after a one year break from tutoring. Del is originally from Newcastle and has been at the University since 2001, before that he worked and lived in Bath and Cardiff. He is married to Jenny King, also a tutor at St Chad’s, and they have two grown daughters. Outside of work, Del is keen on nature and spends time birdwatching and occasionally snorkelling. Nick is an alumnus of St Chad's College(1962-1965). He is a tutor, Schoolmaster Fellow and grandfather. Nick studied at St Chad's, at Oxford and at The University of Wales. If you've been around Chad's for a while, you'll be in no doubt where his heart lies. Nick was a senior independent school housemaster for 9 years and then head of a prep school for 24 years. He has been back at St Chad's since 2001 and is married with two children and five grandchildren. We like to think of him as our college toastmaster. Art history is my profession and my second passion my family are my first, which comprises of one very understanding husband Peter, 3 grown children Fergus, Flora and Ruari and the Labrador sisters Tess and Tig. Durham is my third passion, I’m a Devon exile and a North East convert, I believe there is no better place in the world to live! I work for an educational charity, Magic Lantern, using the visual arts to teach in such diverse settings as primary schools and prisons. I love the great outdoors whether walking, skiing or swimming, any artistic or heritage activity and spending time with family and friends. 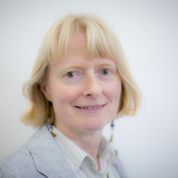 Jane Bird read English as an undergraduate at Chad's in the mid 1990s, before undertaking the interdisciplinary MA in Seventeenth Century Studies, with a dissertation on Milton's Latin poetry. As a postgraduate she rented rooms in the gently decaying splendour of Brancepeth castle but missed having Cuthbert across the road. She remains particularly interested in the Early Modern period and classical reception. A founding member of the University Women's Group, Jane remembers a St Chad's that enabled individuals to explore and establish their identities in a flexible way; a college that wore its traditions very easily and casually. After moving back and forth up and down the country for ten years, from Oxford to Darlington to St Albans and back up to Durham, Jane is now settled in a village just outside Durham with her four children and a malevolent cat. 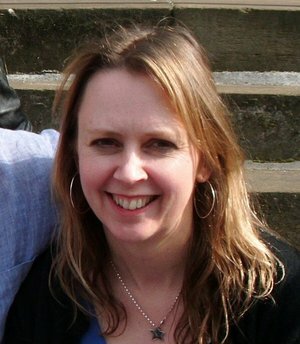 She works as Head of Classics and Head of Sixth Form at Teesside High School, and she is also a published poet and writer. Jane identifies herself as a feminist and a Catholic, and says that she finds herself intrigued by the potential of Chad's as an instrument for social justice and a safe space for creative responses of all kinds, to all aspects of the human condition. 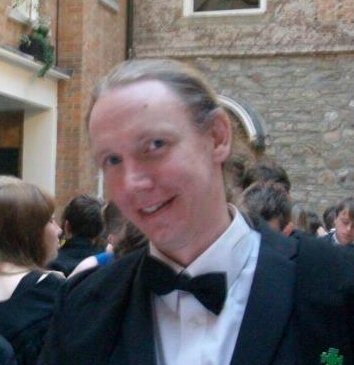 Toby Breckon is member of faculty within Engineering and Computer Science at Durham University. He is an expert in computer vision ("making computers see") and works on topics such as robotic sensing, autonomous road vehicles and 3D visual sensing. 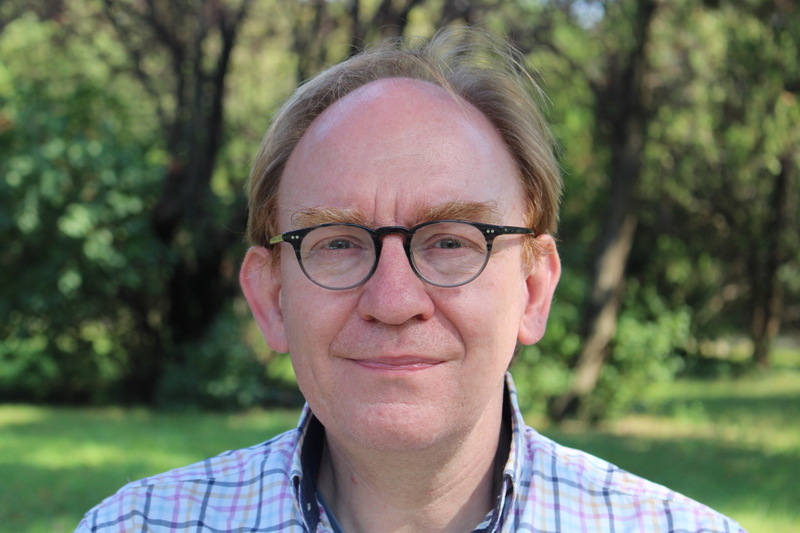 Prof. Breckon holds a PhD and an BSc in Artificial Intelligence (Edinburgh) and has been a visiting member of faculty at institutions in France, China and Japan. Before joining Durham in 2013, he held faculty positions at Cranfield University, the UK's only postgraduate-only university, and the University of Edinburgh. 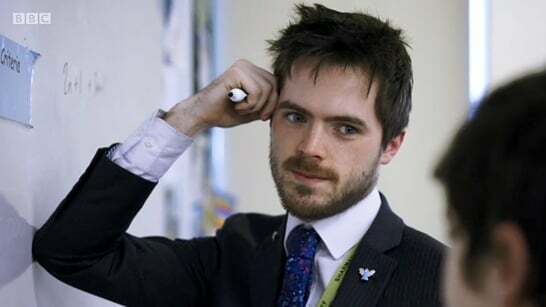 Prior to this he was a mobile robotics research engineer with the UK MoD (DERA) and QinetiQ as well as holding prior positions with the schools inspectorate OFSTED, the Scottish Language Dictionaries organisation and dot-com software house Orbital Software. 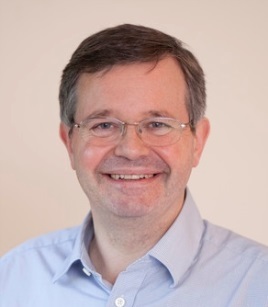 Professionally, Prof. Breckon is a Chartered Engineer, Chartered Scientist and an Accredited Senior Imaging Scientist (Royal Photographic Society). He has published two textbooks and in led the development of image-based detection software for robot system that won the R.J. Mitchell Trophy for Innovation (MoD Grand Challenge 2008, first science and engineering prize awarded by the British government since the longitude medal). Outside of the university he acts as a STEMNET Science & Engineering Ambassador promoting awareness of intelligent sensing, its under-pinning technology and related societal impact. I’m a Lecturer in Statistics at Department of Mathematical Sciences. I arrived in Durham in September 2007 to start my PhD in Maths. I joined Chad’s in 2008 and have been part of the MCR/SCR since. I was then offered a 4-year post-doctoral position in the IHRR/Leverhulme Tipping Points project. After completing my post-doc, I was offered a lectureship here in Durham which I started in April 2015. My main interests are maths, stats, real-world applications, board/card/PC games, and Lego. I am the Academic Course Leader for Biosciences undergraduate degrees and lecture in areas related to physiology. I am particularly interested in exercise physiology and the biological effects of ageing. Prior to joining Durham in 1999 I worked for Oxford University carrying our research into the endocrinology of depression. My favourite holiday destination is the Greek Islands but so far I have only managed to visit 25 out of the 227 inhabited islands. Paul has been a Chad’s tutor since 2004. 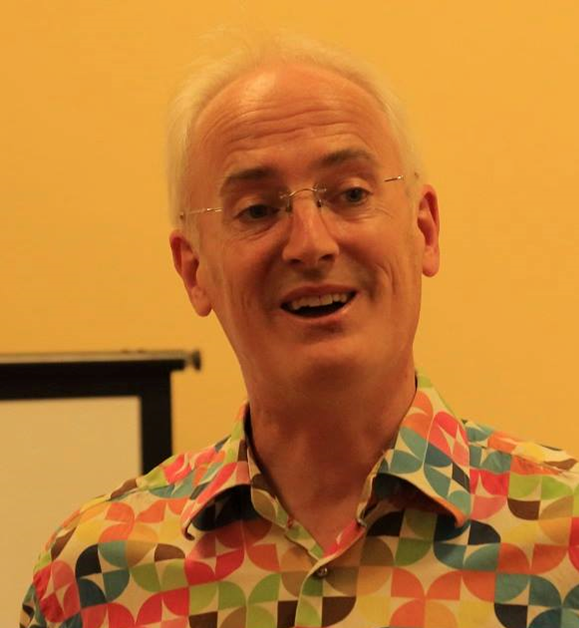 Before spending 11 years as CEO of Traidcraft, the pioneering fair trade organisation, Paul spent nine years with Barclays Bank and nine years as General Secretary of the Christian publisher and bookseller, SPCK. He was President of the European Fair Trade Association from 2005 - 2012 and a director of a range of mutual and charitable enterprises. 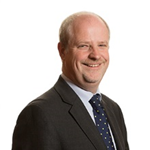 Paul has recently been elected as member nominated director of the Co-Operative Group. Paul studied modern history at Oxford, and is a Lay Canon of Durham Cathedral and a Fellow of St Chad’s. Sarah has been a Chad’s tutor since 2004. 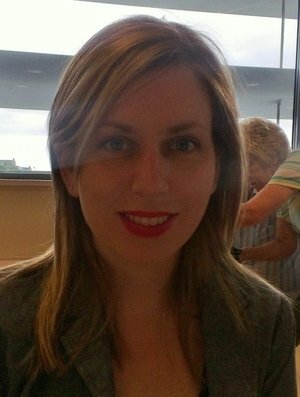 Sarah is a GP, working in Chester-le-Street. 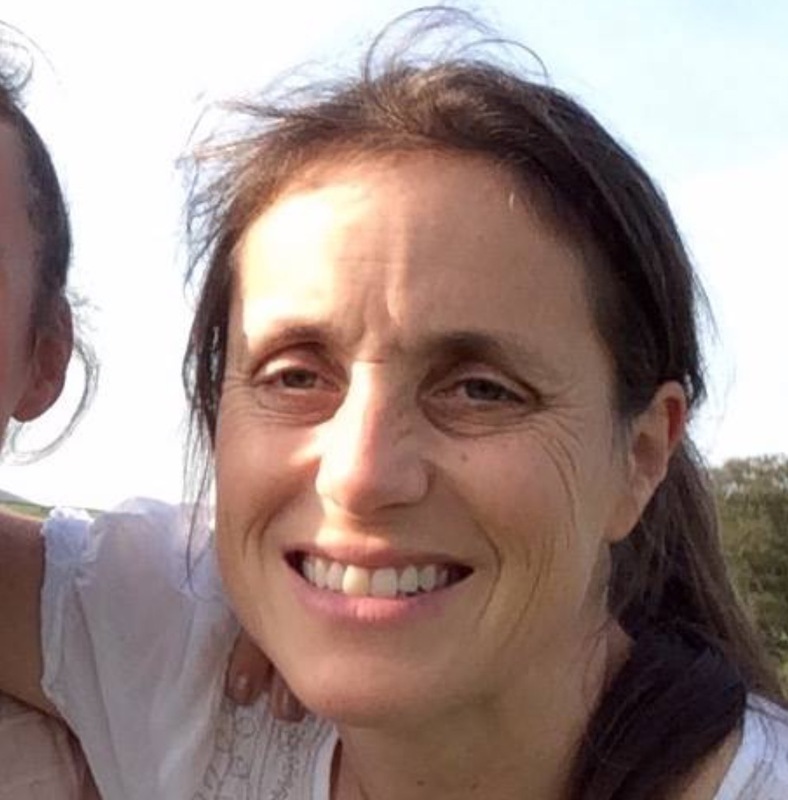 She lives in Durham with her husband, Paul,and three daughters - Jo, Kate and Emma - and an assortment of animals. 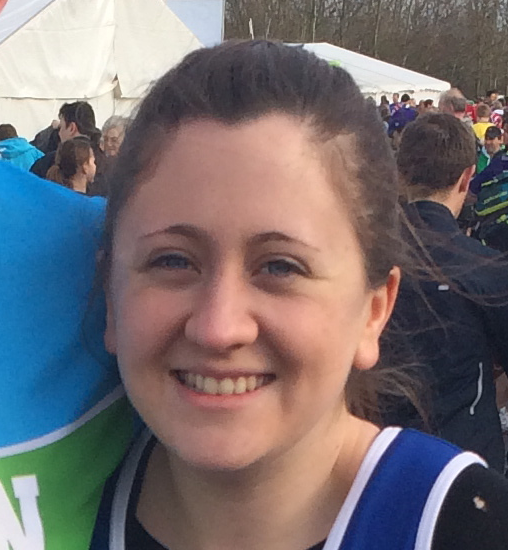 Sarah studied medicine at Oxford and Guy’s hospital in London, and tropical medicine in Liverpool. She worked for several years in inner city practices in London and specialised in providing medical advice and support to overseas aid workers and missionaries. I graduated from Durham (and Chad's) with a degree in English Literature, and am now working as a secondary school teacher. As a student, I worked as an Ambassador and Mentor on Summer Schools to give bright students the opportunity to sample university life and to gain skills and support in fulfilling their potential and when I graduated, worked for a couple of years in the University's Access and Recruitment Department where I helped to run outreach projects and worked towards demystifying competitive universities like Durham. As an undergraduate, I took part in seven operas and now specialise in singing in the shower. I’m delighted to have the opportunity to remain a part of St Chad’s as a college tutor. I am an Astronomer working in the Physics Department. Having obtained a Physics degree from York and a PhD in X-ray Astronomy from Leicester, I worked in Cambridge and Munich before moving to Durham in 1998. I have a long running connection with StChad's through Joe Cassidy and am greatly looking forward to working within the college. Kate was born and bred in London, she has a BA in Politics and International Relations from the University of Reading. 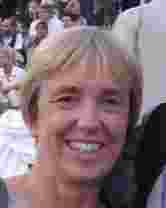 She moved up to Weardale, County Durham with her husband and children in 1998. 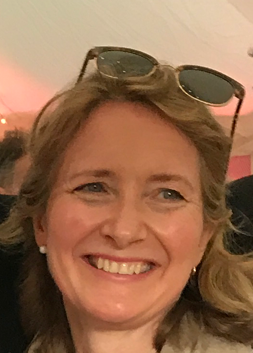 Originally Kate worked in Investor & Media relations for FTSE 100 clients and then moved to headhunting, working across many different industries, including pharmaceuticals, FMCG and finance. She is currently a director of a farming company and runs a property, holiday lettings and catering business. 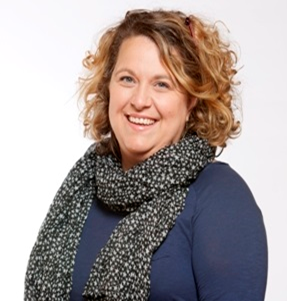 Alongside working, Kate has held a number of voluntary roles including working as a school governor for 16 years for two schools, where she was responsible for marketing and bursaries. 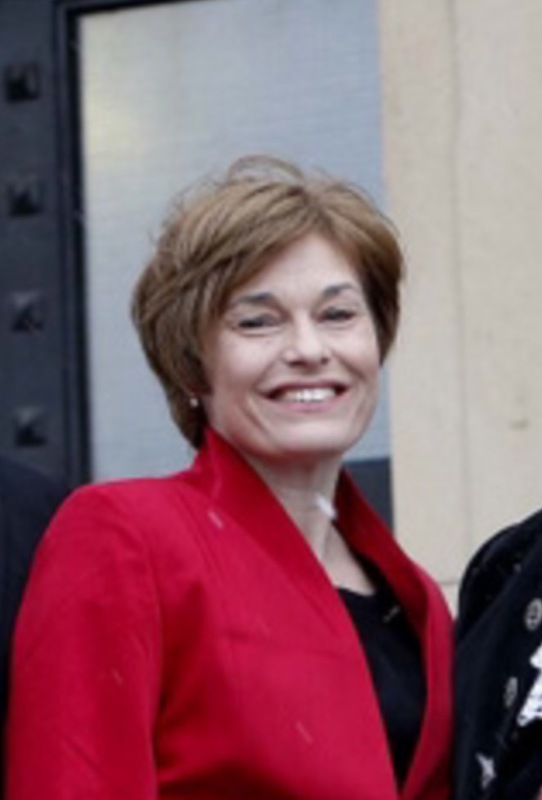 She is also a member of the Cathedral Council at Durham. Kate has three children, Issy, Ed & Tom. Issy graduated from Durham this summer, and Ed is in his final year. She also has six dogs. Colin Ferguson works in the University’s Strategic Planning Office. He was a student at St Chad’s, and read Psychology. As a student, Colin was involved in many aspects of College life, including being a member of the Candlemas Committee and the Bar Committee. After graduating, he was one of the first Chadsians to travel to South Africa as part of the College’s Volunteer Project at St. Matthew’s High School. In his spare time, Colin is trying to rekindle long-dormant musical abilities and rediscover his health & fitness, both with mixed success! 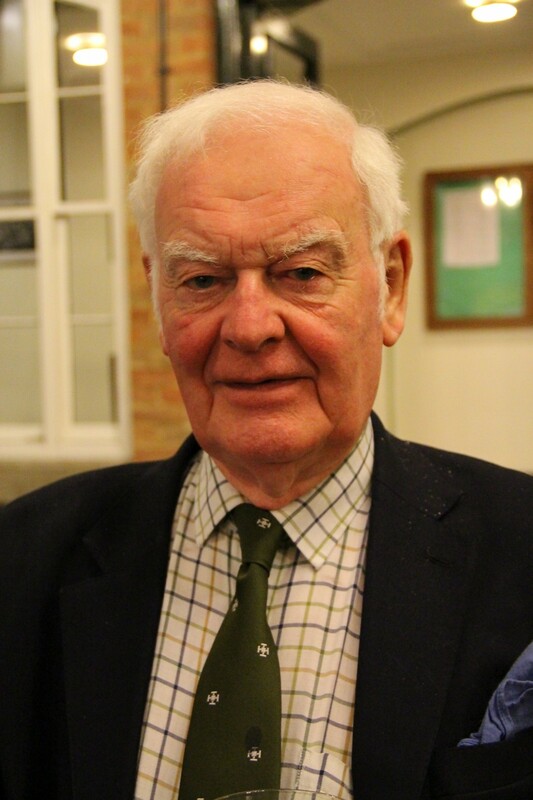 In 2018 Colin was elected President of the College's Senior Common Room. 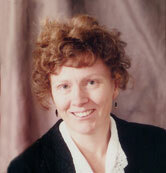 Gillian Foulger is a Professor in the University's Department of Earth Science. She plays a major role in co-ordinating the current global debate on whether deep mantle thermal plumes exist and give rise to “hot spot” volcanism - a subject that has been described as "the most important controversy in Earth Science today". Gillian has appeared in documentary films and on television, and been interviewed for radio programmes in relation to her expertise on volcanoes, earthquakes, natural hazards and general Earth science. 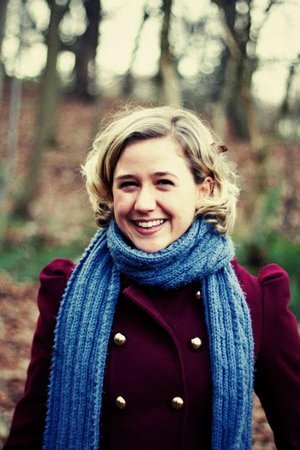 She produced her own film "The Iceland Hotspot Seismic Project" for teaching purposes, has written several popular articles on volcanoes and consulted on scientific films, articles and books. She has edited both scientific and childrens books and is currently writing her own book on the controversy surrounding the origin of volcanic islands such as Iceland and Hawaii. 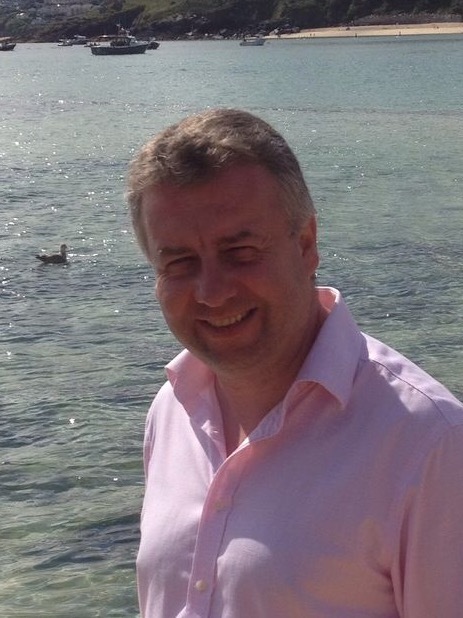 Julian Fowell left St Chad’s in 1985 with a degree in Applied Physics and Electronics. 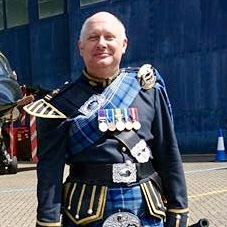 Following 2 years as an engineer at British Aerospace, and a spell in the Territorial Army he joined the RAF in 1987. For the next 20 or so years, he did various jobs including flying and captaining the Nimrod MR2 at Kinloss, and the Orion P3-C with the Royal Australian Air Force in Adelade. The RAF also helped him obtain a masters degree at St Andrews. He is a relatively experienced flying instructor, having taught to fly the Tutor elementary trainer at 6 different units. He undertook 2 ground tours as a pilot poster and a flight trials leader on the ill-fated Nimrod MRA4. His last tour, in the rank of wing commander was spent in command of a middle-east air base. He left the RAF in 09 to fly corporate jets, but his timing was very poor and he had to return to the RAF as a reservist within 18 months following the economic downturn. He is now the Chief Flying Instructor at Northumbrian Universities Air Squadron. He is married to Heather and has 3 children. 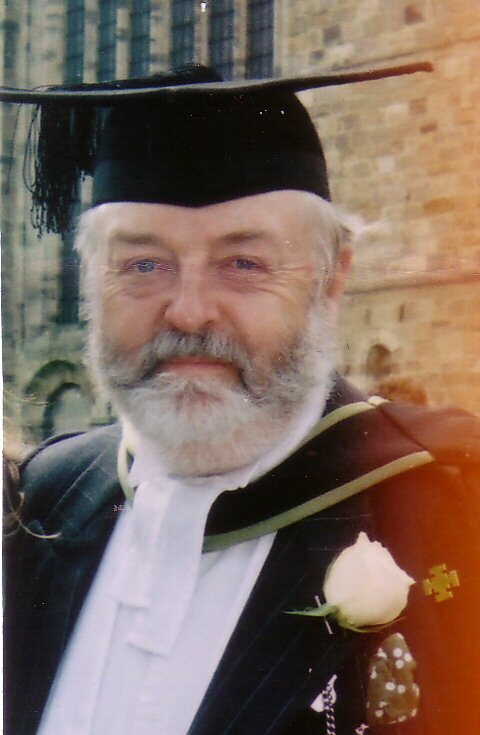 His free time is spent in 2 pipe bands, a brass Band, as an Easingwold town councillor and as a magistrate. He also likes to imperil himself daily on his motorbike. Every so often, he also enjoys the supreme pleasure of fast-taxiing Nimrod MR2 XV250 at the Yorkshire Air Museum, Elvington. Although he realises his accomplishments are modest in comparison to the other tutors at Chad’s, he is considered by many observers to be the best table football player of his generation. Jens is a Professor at Maths. The UK is his fifth country of residence after leaving his native Germany to pursue a PhD in Maryland/US followed by postdoctoral stays in Indiana, Bonn, Barcelona, and Toronto. He joined Durham in 2007 coming from New Mexico where he taught at the town at the valley of the Rio Grande where Billy the Kid was tried! Jens is a card carrying member of the Durham bubble and joined the Chad’s community in 2016, initially as an Honorary Fellow. He cares about history and politics and has been supporting Borussia Mönchengladbach since the age of seven. I am a New Zealander who came to Chads in 1971 to read Theology, after a first degree in Wellington in History and Political Science, and I fell in love with the north-east. After training as a priest at the College of the Resurrection, Mirfield, I returned to New Zealand in 1976 and worked as a cathedral priest and then as a university chaplain in Wellington. In 1980, I came back to the North-East of England, and I worked as an Anglican parish priest in former colliery communities near Bishop Auckland, a new town on Teesside and urban overspill on Tyneside with multiple social deprivation. I concentrated in each of these in enabling local talent to flourish. In the 1980s I completed a PhD at Nottingham on kenotic Christology. 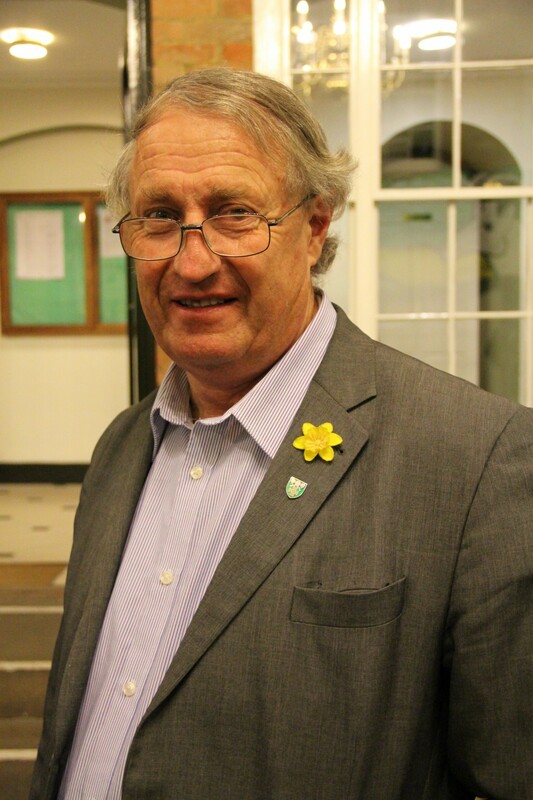 Since retiring in 2013, I have lived in Durham, re-connected with St Chad’s as a tutor, and my wife and I also enjoy classical music – I sing indifferently – fell walking and sport, these days as a spectator, and we spend a lot of time chasing after our grand-children. My academic interests include fifth-century Alexandrian Christology, the diffusion of the Oxford Movement in its second and third generations in the Church of England, and how organisations and societies operate under such stresses as war, civil strife and economic dislocation. Steve joined Durham County Council as the Head of Culture & Sport in 2009 and has strategic and operational responsibility for a wide portfolio of services including Sport, Libraries, Theatre, Arts, Museums, Festivals and Countryside Services. Steve completed his PhD in applied ethics in sports policy at Swansea University following a M.Sc. in Social Research Methods and a B.Sc. in Management Science. 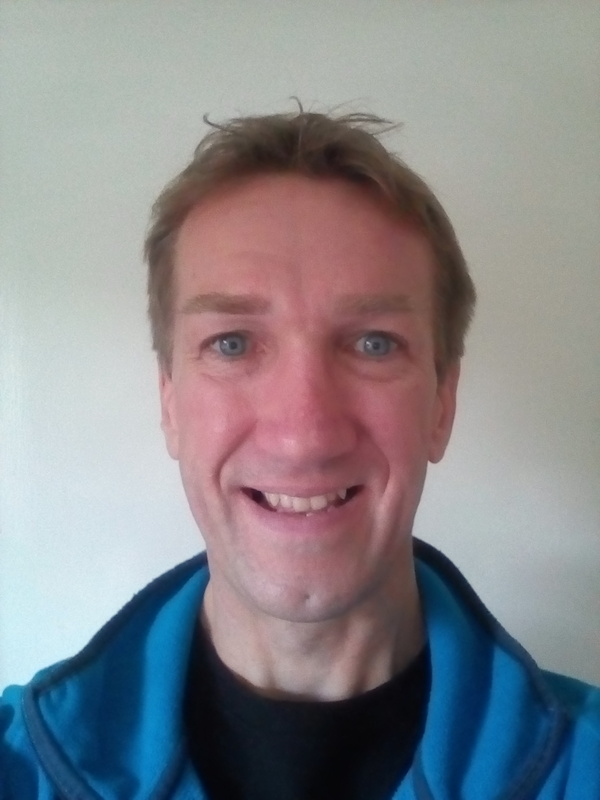 Steve’s current research interests focus upon the moral and political philosophy of culture and sport, with a specific emphasis on issues of social justice as determined within policy frameworks. In particular, his research engages with policy debates that concern the categorical and hypothetical imperatives of policy together with their applied implications; linking normative philosophical considerations to their empirical implications. Steve has authored and contributed to a number of books and published in refereed journals. Outside of work Steve is married with one daughter and a keen sportsman with a particular interest in athletics and cycling. Also having a strong interest in art and reading, the line between work and play is a blurred one! He was born in County Durham where he has lived and worked for almost all of his life. Mike Huxtable studied Philosophy and English at the University of York and has obtained Masters degrees in both subjects. He completed a doctorate in 2008 in Durham on the phenomenology of colour and its perception in medieval literature. 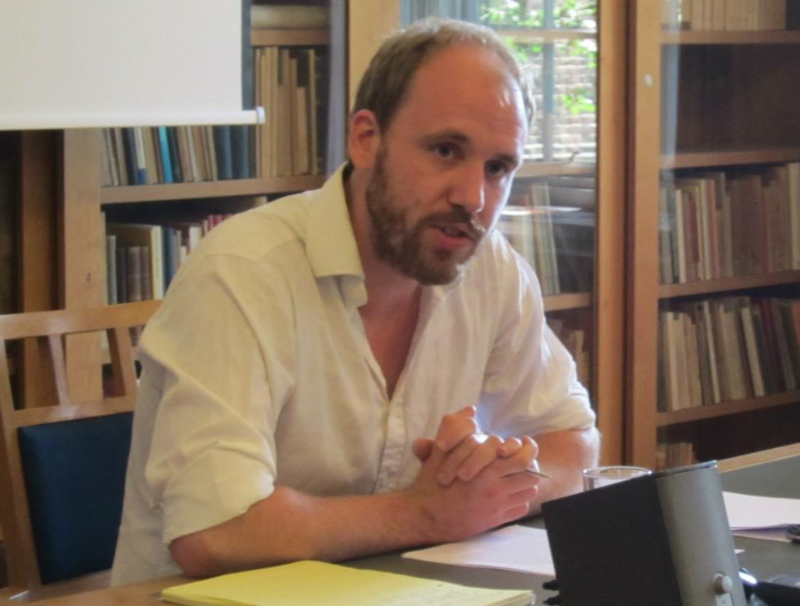 Mike's research interests include medieval philosophy, theology and the history of ideas; the semiology of medieval art and culture (in particular heraldry), and the influence of visuality on literary creativity. Kate was born in Northumberland, growing up on her parents’ farm north of Corbridge. 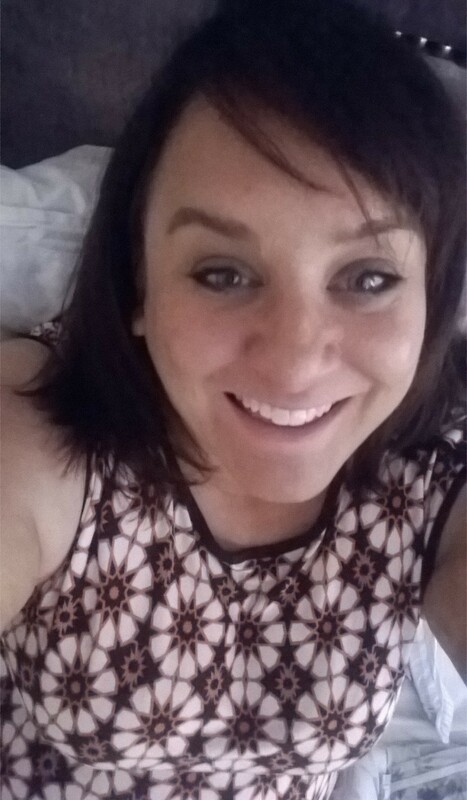 Initially qualifying in Hospitality Management at Newcastle College her career has since covered a wide range of areas, and she is now a self-employed book keeper and farm secretary as well as being the Treasurer for the North East Religious Learning Resources Centre. Kate is married to Alistair (the College Vice-Principal & Bursar) and has two grown-up daughters, one of whom graduated from Durham in 2010. In her spare time, Kate enjoys yoga, pilates, swimming, gardening and cooking. Sean Kelly graduated from St Chad’s in 1983, accidentally became an accountant, and unintentionally spent over 20 years in financial management roles in advertising, automotive and exhibitions. In 2006 Sean realised his mistake, and quit his finance director role to become a poet. From performing and teaching poetry in primary schools and at Warwick University, he stepped into the film industry, where he now uses his inadvertently-obtained business skills to advise on film investment, whilst writing scripts. A native of Warwickshire, Sean “came home” to the North East in 2008. He and wife Kath live south of Sunderland. 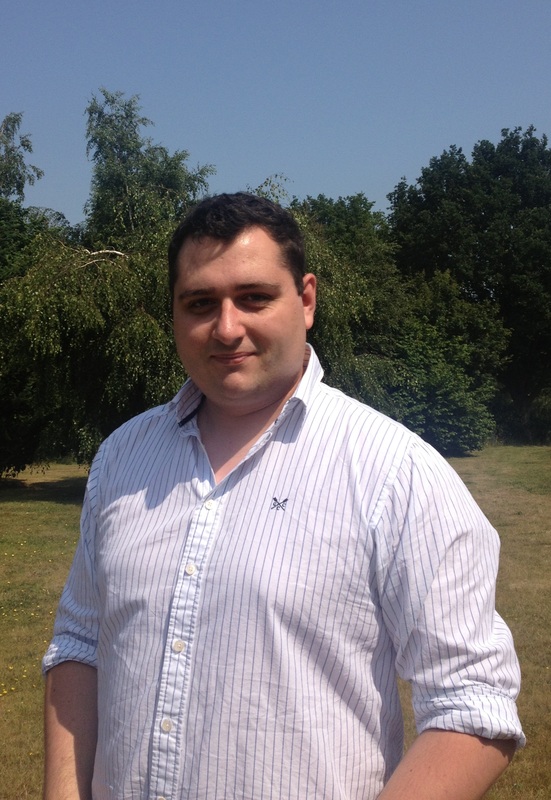 Since re-engaging with St Chad’s in 2010, Sean has joined the SCR and become a College Tutor. Having studied and worked in leadership development, Sean relishes the opportunity to work with and support undergraduate and postgraduate Chadsians. Dr Viv Kendon is a member of the Durham Atomic and Molecular Physics research section, and the Joint Quantum Centre (JQC) Durham-Newcastle. 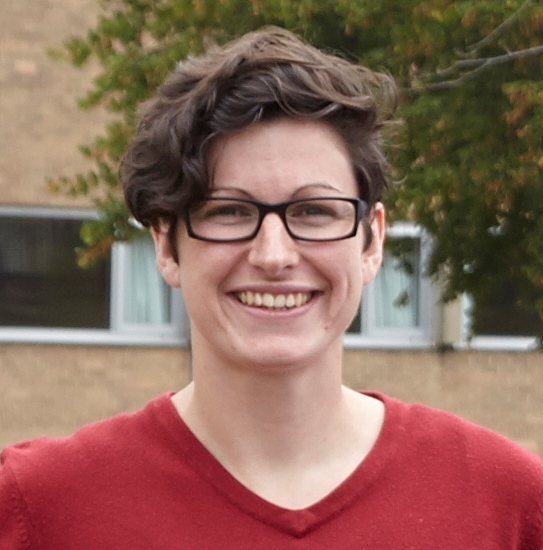 She holds an EPSRC established career fellowship on Hybrid Quantum and Classical Computation. 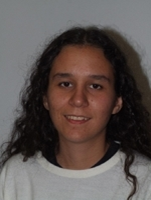 Prior to moving to Durham, she was part of the Quantum Information Group at the University of Leeds, where she held a Royal Society University Research Fellowship from 2004 to 2012. 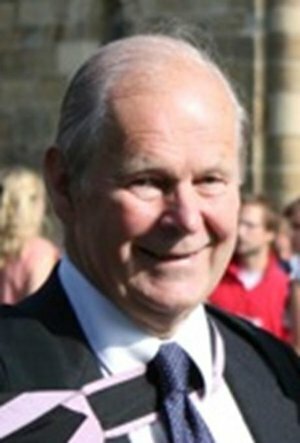 Dr. Kendon was educated at the Universities of Oxford and Edinburgh, and initially researched in the area of Soft Condensed Matter, before switching to quantum optics and quantum information theory via postdoctoral positions held at the University of Strathclyde and Imperial College. 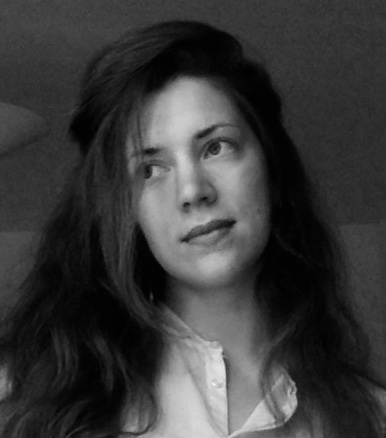 Previous to her research career, Dr Kendon was active for over 10 years in global electronic networking and computer support in the voluntary sector, and her current major research interests are the computational physics of quantum information theory, and interfacing quantum and classical computational architectures. I have worked at the University for over ten years in both the Physics and Engineering Departments in a variety of roles including research and project management. I currently work in the Chemistry Department linking researchers with local companies. My PhD was in geophysics, which meant I was lucky enough to undertake fieldwork in China. I then had a career in scientific administration before a career break to look after our two children. During that time we moved to Durham for my husband’s job (Del Atkinson, Physics, also a Tutor). Once I returned to work I had a rather unusual career path and as well as working at the University I have experience of University spin-out companies and educational outreach jobs with Durham Wildlife Trust and Killhope Lead Mining Museum. I enjoy science outreach and I am part of the Planetarium team. I enjoy music, play the flute and also have an active interest in natural history. Jessica Lawrence grew up in London and came up North to Durham just over 8 years ago. She graduated (Collingwood College) with a degree in music and now works for the Music Department and Experience Durham as Head of Student Music. As a student, Jess was involved in many of the performing ensembles and thoroughly enjoys supporting them now in her job. She is recently married (now, technically Jessica Smith!) and loves traveling – favourite places include Cape Town, New Zealand and Vancouver. In 1988 I left St Chad's with a law degree and qualified as a solicitor. I have been in private practice in Newcastle from 1989 -2016, latterly as Senior Partner of Dickinson Dees and Vice Chairman of Bond Dickinson. I recently stepped back to explore pastures new. I am also involved with the Prince's Trust and Newcastle United Foundation, with Newcastle Gateshead Initiative (destination marketing company for the City and Region) and alongside this am a Parish Councillor. I am a non-executive director of North East Ambulance Service and North East England Chamber of Commerce, Chair of the Advisory Board for Bradley Hall and a member of St Chad’s Governing Body. I look forward to being a tutor at St Chad's and working with you all. 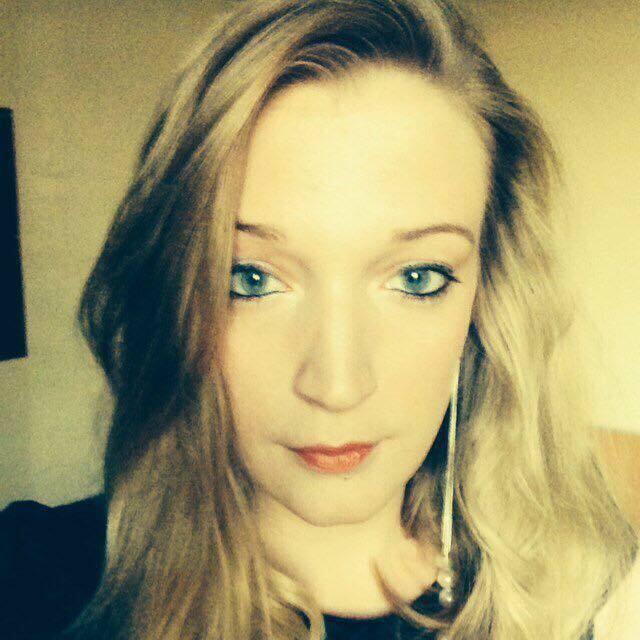 Emma completed both her masters and undergraduate degrees in the Education department at Durham University with a particular research interest into the experiences of students from low income backgrounds at an elite university. During her studies, Emma worked as a university student ambassador and was heavily involved in the university Concert Band. 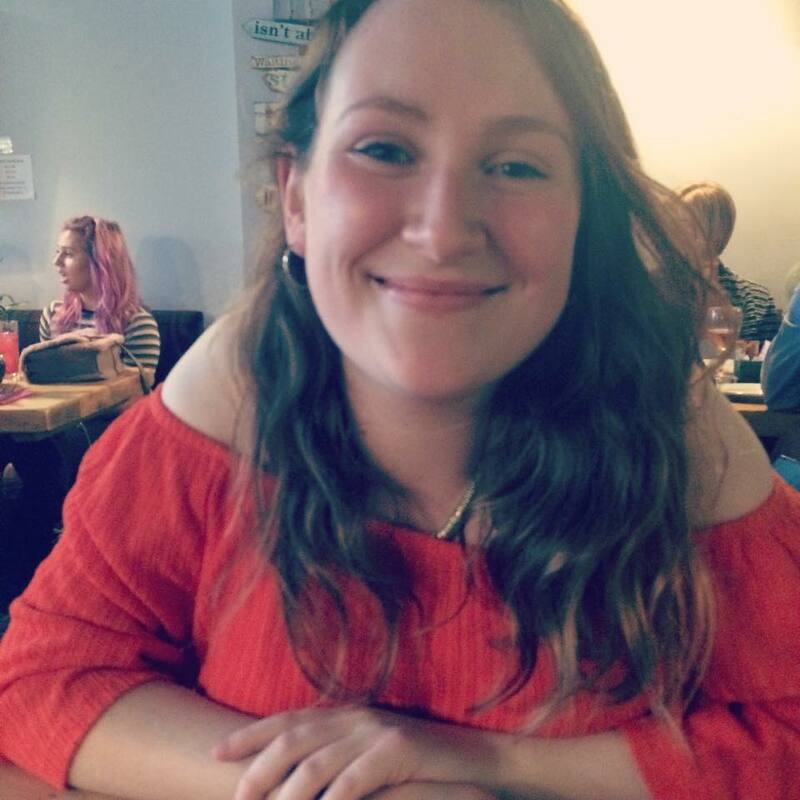 After graduating, Emma worked in a secondary school in Hartlepool as Aspirations Coordinator where she worked with students aged 8-18 to encourage a love of learning and maximise their potential. Emma now works at York St John University as a Student Widening Participation Officer providing a programme of support for students at university. Like many of her students, Alison has been both an international student and a mature student, most recently completing a PhD in English Literature with Creative Writing at the University of Newcastle. Her thesis was comprised of a novel based loosely on the lives of Daphne du Maurier and Branwell Brontë, the less famous and doomed brother of Charlotte, Emily and Anne, and she is a keen Bronteophile. 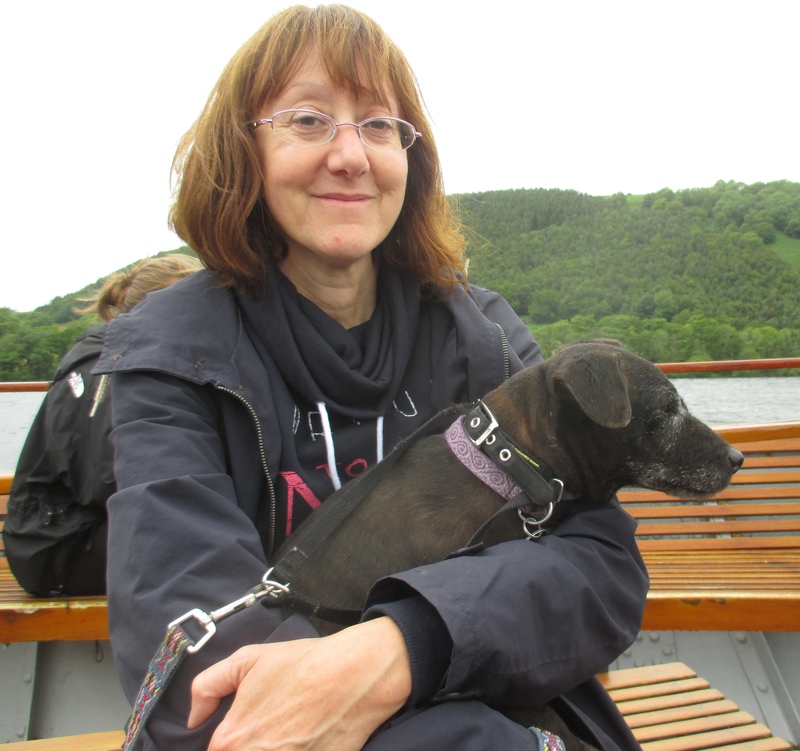 After teaching English as a Foreign Language for several years, she has been a Teaching Fellow at Durham University’s Foundation Centre since 2005, where she teaches both English Literature and Academic Writing to mature and international students. She also lectures in the School of Education, where she is involved in projects to do with Family Learning and linking literacy with science teaching. Her educational background includes a degree in Psychology, two teaching qualifications, and two MA degrees, one in Creative Writing and one in Gender Studies. She has 2 boys and is passionate about cooking, reading, walking, and looking after her Cub Scouts. Following my degree and Masters in business, I worked in Engineering Marketing for a number of years. When my two daughters were born I retrained as a teacher and am currently Head of Mathematics at Durham School. I am in the happy position of loving my job, and enjoy the long holidays too. Outside of school, I have studied tai chi for many years. I have recently taken up yoga, perhaps in an attempt to turn back the clock! Being born in Durham, means I know the area well and am happy to help students find their feet here. After graduating in Maths from St Chad’s College in 2010, I decided that one degree wasn’t enough, so embarked on a Natural Sciences course with the Open University, which I will finish next year. I then plan to start a Masters. Alongside this, I am currently employed full-time by Apple, which is an incredibly fun, challenging and rewarding place to work. I live in Gosforth with my partner Colin (who is also a tutor in College), having made the leap outside the Durham bubble earlier this year. In my spare time (of which there is never enough! ), I fuss over our cat, spend time trying to grow something edible on my allotment, and enjoying cooking and baking (the Great British Bake Off is a highlight of every year). I run regularly, having completed the Great North Run twice, and I also love travelling – I’m always dreaming of the next place to visit! David is a Chad's alumnus (2011-2017) having studied for a BSc in Mathematics and an MA in Education whilst training to be a maths teacher. 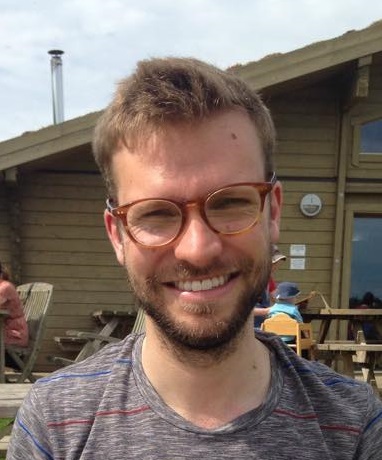 He has recently returned from Cambridge after studying Psychology and Education, with a particular interest in mathematical anxiety, and is proud to be reuniting with Chad's as a tutor. Outside of teaching, David can be found in the theatre, St Cuthbert's church or running a local pub quiz. He enjoys reading, gaming and baking as part of his downtime but always enjoys an excuse to get to Esquires for a latte! Interests within Chad's look to outreach programs and finding engaging ways for younger pupils to realise their potential, both in their mathematical and general aspirations. Hi, I’m a Senior Lecturer and Psychologist based in Applied Social Sciences here at Durham University. I grew up just outside London, and then spent 10 years studying, working, and messing around in the mountains of North and West Wales. My research interests involve trying to understand how our social surroundings influence our motivation – working with both elite performers and also those who are in some way isolated by their environment. Outside of work, you can find me on a beach or in the hills, or on a muddy rugby pitch. I’m a writer and journalist (so whether you’re in my tutor group or not, if that’s what you’re interested in, then do get in touch for covfefe and a chat.) I’ve written three books – two non-fiction (published by Penguin) and one fiction. One of them, called Wife in the North, was a bestseller in the UK and Germany, and a Radio 4 Book of the Week. The other non-fiction book, called A Year of Doing Good, was an exploration of goodness and required me to do a good deed a day for a year. Regrettably, it did not make me a better person. The latest book is a thriller called Killing State and I’m bringing it out myself, which has me positively cross-eyed with the effort required. Before I moved from London to Northumberland and then Durham, I was education correspondent with The Sunday Times where I also covered politics, undercover and general news. Once upon a time I was political producer for BBC2’s Newsnight and Channel 4 News, and decades ago I worked in the lobby at Westminster. I’ve been known to advise on strategic communications and once had a blog which was named as one of the top 100 blogs in the world by The Sunday Times. I am the college Librarian and very proud of the wonderful collections that I am privileged to care for and develop. Before coming to St Chad’s I worked as Reference Librarian running Middlesbrough Reference Library service for many years and specialising in local & family history, rare books and special collections. I have collaborated in the writing of a number of local history books and articles relating to Middlesbrough. Working in a library environment has allowed me to indulge my interests in so many fields, particularly history and archaeology. Outside the library I can be found pursuing my absorbing passion for British archaeology all over the north east of England. I am currently running a project to evaluate and excavate the site of a Roman camp and nearby settlement at Newsham on the River Tees. I graduated from Durham so coming to St Chad’s has been like a homecoming. Stephen Regan is Professor of English in the Department of English Studies at Durham University, where he was Head of Department from 2008 to 2011. He was born in Durham and attended local state schools (St Cuthbert’s Primary School in Crook and St Bede’s Grammar School in Lanchester). Before returning to Durham, he was Lecturer in Modern Poetry at Royal Holloway, University of London, and also worked at Ruskin College, Oxford and The Open University. He was a Visiting Scholar in the Department of English at Harvard University in 2011-12. He has worked for the British Council in Poland, former Yugoslavia, Morocco, and Tunisia. He is the editor of Irish Writing: An Anthology of Irish Literature in English 1789-1939 (Oxford University Press), and is currently editing The Penguin Book of Elegy. 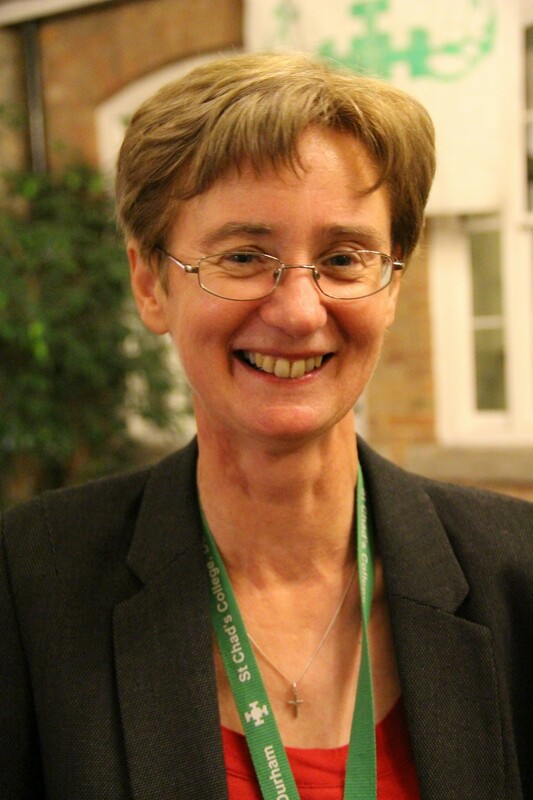 Stephen is married to Dr Eleanor Spencer-Regan, Vice Principal and Senior Tutor at St Chad’s. They live in the Durham Dales with their whippet, Jonty. Having emigrated from Canada over a decade ago for what was supposed to be two years and two years only, I am still enchanted with Durham and am very happy to call it home. I have a son called Jacky who is often by my side and frequently accompanies me to college events; winning the noonday race on St Chad’s Day is his current life’s goal. I joined St Chad’s as a PhD student but have also had the privilege of serving as a tutor since 2013. Having studied both in the UK and in Canada I have a special interest in internationalisation, especially in helping international students adjust to academic and cultural differences. I am a Teaching Fellow and Admissions Tutor in the School of Psychology at Newcastle University. My area of academic interest is broadly called Behavioural Neuroscience but more specifically, I research the nature of learning and memory. I have particular interest in a form called episodic memory, which is memory for experiences and events in one’s personal history. I am interested in how these memories are formed, but also in the experience of remembering, especially in affective disorders such as anxiety or depression. I also investigate how different factors, such as positive or negative emotions, can either distort or enhance the accurate recall of personal past events. I was drawn to Chad’s by its reputation for promoting social justice, ethics, and human rights: all of which are issues of keen interest to me. I have benefited from Chad’s vibrant Christian community both as a student and as a tutor and I feel very fortunate to be a part. 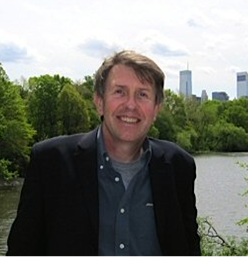 Fred Robinson is a Professorial Fellow at St Chad’s College. Fred is an expert on social and economic development and the role of public policy in North East England. 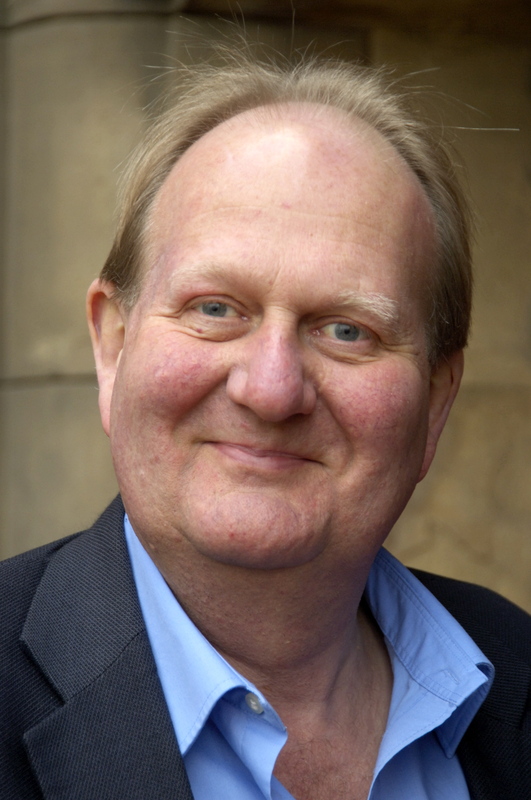 Over the past few years he has been involved in several regeneration projects across the region; has worked with Durham County Council on the transfer of community buildings to local social enterprises; and has critically examined democracy, accountability and representativeness in the North East’s public institutions. He is currently working as independent evaluator of The Auckland Project, a regeneration scheme centred on the development of Auckland Castle as a major visitor attraction in Bishop Auckland, County Durham. Fred also has a strong interest in mental health: for more than 25 years he has served as a volunteer and chair of Waddington Street Centre, a community mental health resource in Durham City. Fred likes walking (he doesn’t drive a car), reading newspapers (The Guardian and the Northern Echo) and eating well (he’s a vegetarian). After graduating from St Chad's in 2007 with a degree in Theology and Religion (and a brief hiatus at home in Canterbury), I moved to Manchester to do a masters in Theology and work for the Christian inner city charity for young people, The Message Trust. Finding their morality to be worryingly middle class, I started spending more time with homeless people and the charities that work with them. This led to a PhD at the University of Manchester on charity, the Big Society (shorthand: ‘B.S.’), homelessness, neoliberalism and the Christian doctrine of creation. I’m delighted to be joining Chad's as a tutor with my partner Irene, with the responsibility of setting up (or facilitating) social justice works within the college. I’m a member of the Green Party of England and Wales and the Christians on the Left, and would be interested in talking with anyone who shares my concern for messy and unsuccessful adherence to religious life (ALL types! ), solidarity with the marginalised, and sustainable living on a common earth. If you have any ideas about what you think you can do, and how we as a college can help you do it, drop in or knock on – I’d love to chat about it. 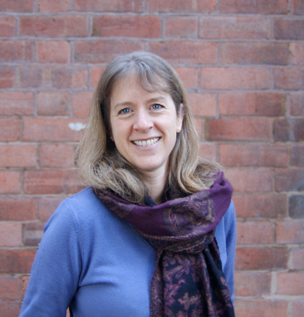 Irene did a postgraduate degree at Durham in Theology, and has since stayed in the area working as a project manager. 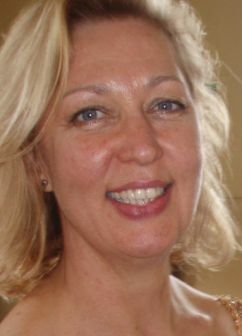 Previously she worked with destitute women in Liverpool, and she is passionate about social justice and sustainability. In her free time she enjoys reading novels, listening to music, and (almost) any sort of outdoor activity. Studying geography at Newcastle and Cambridge led onto work as a research officer at MAFF and the North of England Development Council. Voluntary work supporting and running playgroups during a break to raise a family then led to work in environmental education. 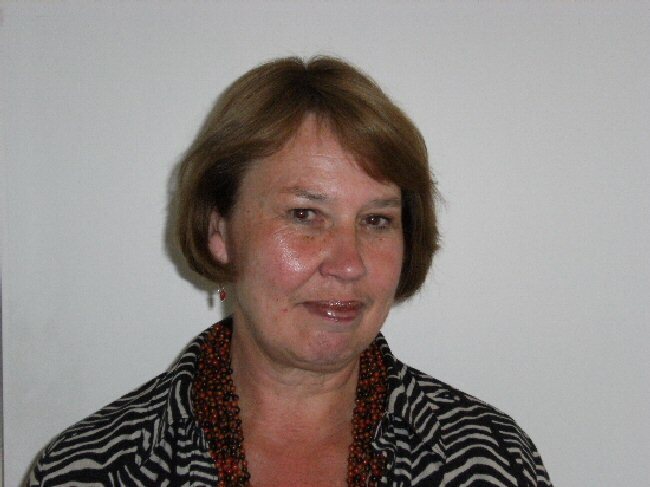 For the last 20 years, Sue has worked as an independent researcher, trainer and facilitator, specialising in in-depth field based research and participative methods - underpinned by community development values and principles. The main focus of this work has been rural communities and their particular characteristics and issues. Sue is Chair of both the Community Development Exchange [CDX] and Action with Communities in Rural England [ACRE] and a College Mentor. 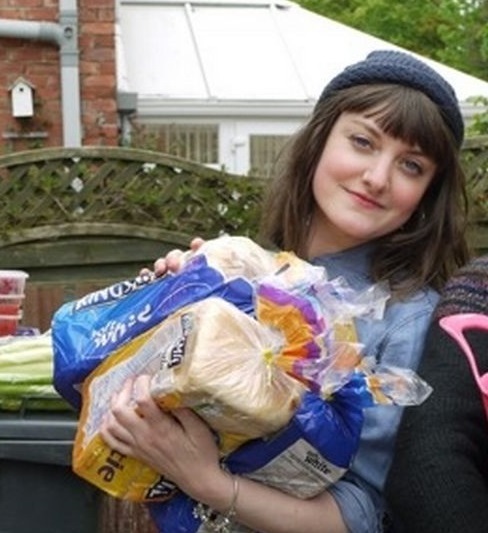 Mim Skinner is the co-founder and director of a social enterprise in the North East called REfUSE, that Intercepts food before it becomes waste and serves up delicious meals in a café in Chester-Le-Street and at pop-up events. Mim is soon to be author of Jailbirds: a book about, and written with, women from prison drawing on two years of facilitating art in prison and supporting women settling back into communities outside. I am a freelance musician, songwriter and community arts facilitator living in Durham. My passion is bringing people together through creating original music about our stories of discovering community together. My most recent project – Stories of Sanctuary – tells the stories of sanctuary sought by those from the past and present in the city of Durham. I also work part-time for City of Sanctuary as their North East Regional Coordinator. I completed a PhD in December 2017 in Human Geography, exploring how communities can be brought together through arts and social action. I am a keen explorer of the North East – its countryside, its people, its history, its old railways! I am tutoring with my wife, Mim Skinner. Graduated with a BA in Criminology from Durham University and completed my MBA at Newcastle University. Employed at Durham Cathedral since 2011, currently as Chapter Steward & Governance Manager. As a member of the JCR exec, Kat held the positions of Candlemas Head Steward and JCR Social Secretary. 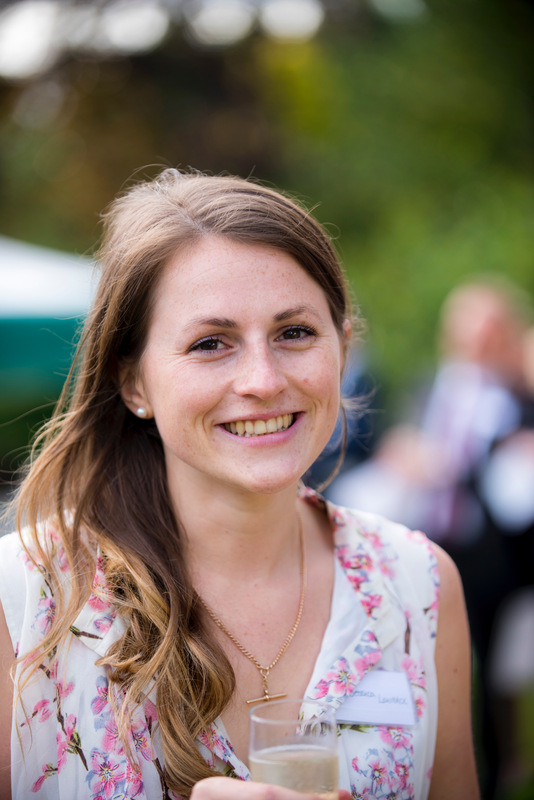 After graduation, Kat returned to her native Hampshire to work for the British Red Cross before returning to Durham to work as Fundraising Officer for Durham Cathedral. After two years, she changed offices to her current role as Professional Assistant to the Chapter Clerk and Officer Manager. She lives with her husband, Matt Smith (also a Chad’s tutor)(and their cat, Luna) in Spennymoor, just outside Durham. BSc in Biology and PhD in Plant Molecular Genetics from Durham University at St Chad’s. Completed teacher training at Sunderland University and employed since 2013 as a Biology teacher at Durham School. 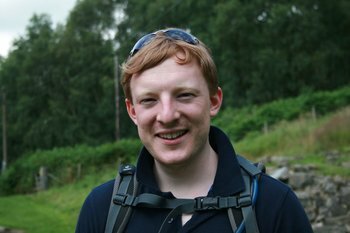 During his time as a Chad’s student, Matt was JCR Sports Officer and Senior Man and, completing a PhD in Plant Molecular Genetics, also served as MCR President. Michael Snape is Michael Ramsey Professor of Anglican Studies at Durham University, and he is also an ecumenical lay canon at Durham Cathedral. He was an undergraduate and a postgraduate student at the University of Birmingham and in 1994 was awarded a PhD in Theology for his dissertation on Anglicanism in eighteenth-century England. His first monograph, The Church of England in Industrialising Society: the Lancashire parish of Whalley in the eighteenth century was published by Boydell and Brewer in 2003. Since then his research has focused on religion and the experience of war in Britain and North America, and his books include The Redcoat and Religion: the forgotten history of the British soldier from the age of Marlborough to the eve of the First World War (Routledge, 2005); God and the British soldier: religion and the British Army in the First and Second World Wars (Routledge, 2005); The Royal Army Chaplains’ Department, 1796-1953: clergy under fire (Boydell and Brewer, 2008); The Back Parts of War: The YMCA memoirs and letters of Barclay Baron, 1915 to 1919 (Church of England Record Society, Volume 16, 2009); and (co-edited with Edward Madigan) The Clergy in Khaki: New Perspectives on British Army Chaplaincy in the First World War (Ashgate, 2013). His fifth monograph, God and Uncle Sam: Religion and America’s Armed Forces in World War II, was published by Boydell and Brewer in May 2015. He is married to Rachel, and has two daughters, Katy (13) and Helena (10). All of them are sensible enough not to share his academic interests, or his hobbies of boardgames, swimming, and historical re-enactment. I was born & bred in Suffolk, spent 18 years in Birmingham, and have just relocated to the North East – so I feel like I’m gradually moving up the country! 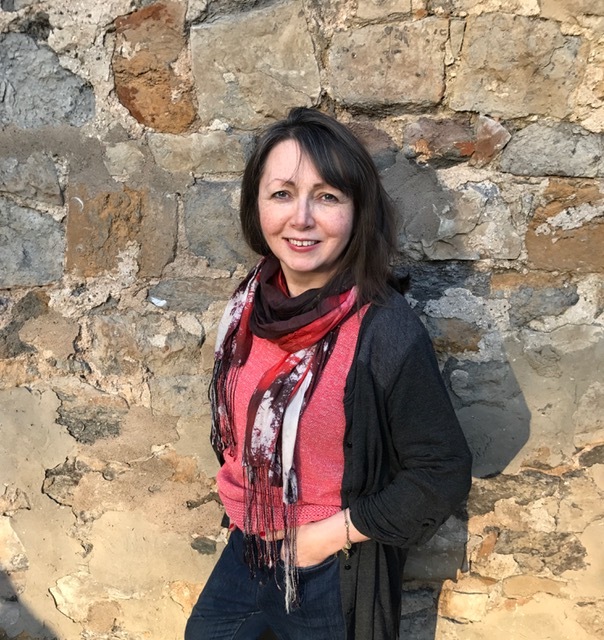 I graduated from Nottingham University with a music degree and have spent over 20 years working as an arts manager across the industry – in opera, ballet and most recently as Project Manager for Women & Theatre, a research-based company that addresses contemporary issues through performance. I have also run my own franchise business teaching sign language to 0-2 year olds. I currently freelance as a vocal tutor for a project working with life-limited children at the Birmingham Children’s Hospital and with stroke patients in the West Midlands. I love the coast, so am looking forward to having it on the doorstep and exploring what County Durham has to offer. In my spare time I enjoy choral singing, walking, scrapbooking, family history and I am teaching myself the trombone for fun! Jess lives and works in Durham. She has spent 25 years working in education, firstly as an English Language and Modern Languages teacher in schools both in the UK and abroad (Spain, Greece), which then led to a career in educational publishing, working as a project manager and commissioning editor for companies such as Oxford University Press, National Geographic, Cambridge University Press and Macmillan Education. Jess is now Department Manager in the wonderful Department of Classics and Ancient History at Durham. She graduated many years ago from Sheffield University with a degree in modern languages (French/Spanish) and also holds a PGCE (Modern Languages). David read classics and philosophy at Oxford where he was also an Organ Scholar at Trinity College. 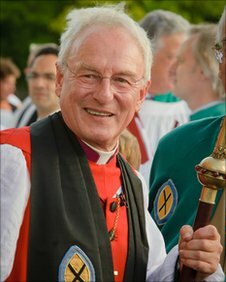 While at university, he abandoned thoughts of a musical career in favour of ordination and instead went to theological training at Cuddesdon College in October 1965. Bishop of the Church (he retired as Bishop of Salisbury in 2010), Chair of the Church of England's Liturgical Comission for many years, David now lives with his wife, Sarah, in Weardale (unless they are wild camping en route to Italy) and as well as being a tutor and Fellow of St Chad's, is President of Affirming Catholicism and Vice-President of the Royal School of Church Music. Before coming to London in 2008, I worked as a Catholic priest in a large grammar school in my home town of Derry, where I was Head of Classical Studies. During that time I took a sabbatical year in Rome, where I completed an MA in Theology. After completing an MA in the Reception of the Classical World, at University College London, in 2010, I was appointed Acting Head of Classics at St John’s School, Leatherhead (Surrey), and later, Head of Religious Studies and housemaster. I have always been interested in the relationship between theology and literature, and I am delighted to have the opportunity to explore this relationship, at doctoral level, in the work of Seamus Heaney. As part of that work, I look forward to being part of the Centre for Catholic Studies at Durham, as well as being a tutor at St Chad’s. 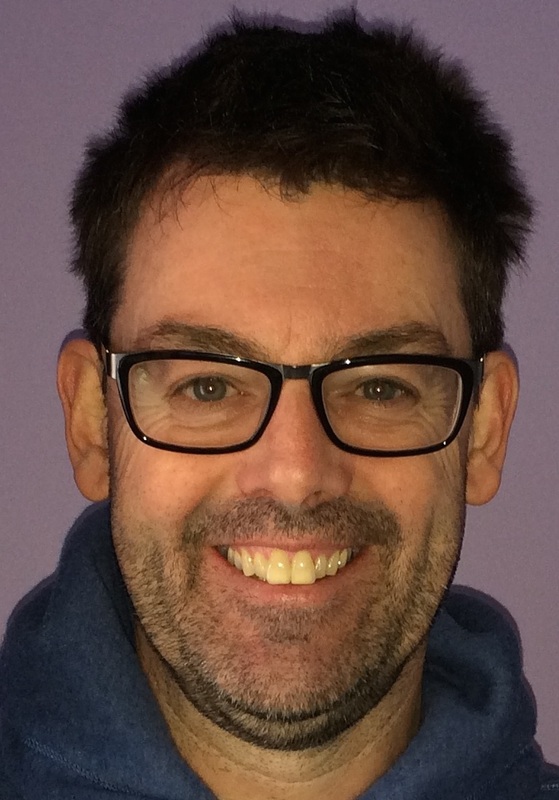 Julian Wilson taught for the Foundation Centre, specialising in Study skills and Research Methods. Has a MPhil in Socio-Cultural Anthropology investigating social networks of asylum seekers and refugees in the north east. I am an Assistant Professor in the Foundation Centre, where I have been teaching for seven years. My disciplinary background is English and linguistics; alongside this, many years of living overseas teaching English to non-native speakers prompted my interest in the use of English for academic purposes. My recent scholarly interests have also included developing alternative means of providing feedback to students, and investigating student motivation and resilience. I am currently working on a thesis for my Master’s in Education, where the focus is on developing intervention strategies to effectively support students in their studies. 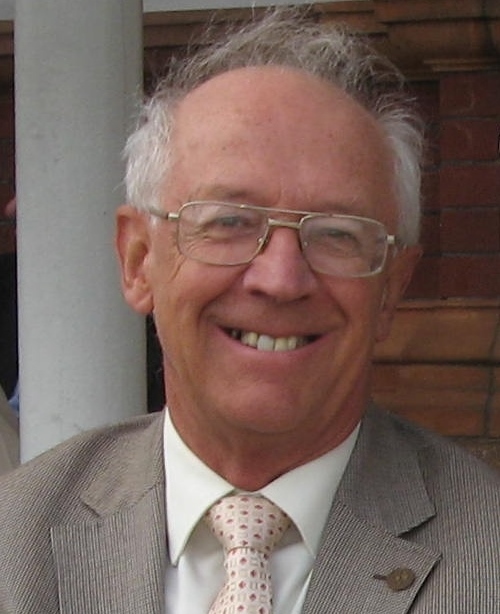 Colin Woodward was educated at Newcastle Royal Grammar School, Birmingham University (BSc chemistry) and Imperial College, London (PhD analytical chemistry). After two years’ postdoctoral research in the USA, he enjoyed a 34-year career with ICI based at Billingham, Teesside. This included a variety of jobs mostly involving worldwide catalyst sales for which he visited over 70 countries on business. On leaving ICI in 2003, he became a semi-retired independent consultant to the catalysts and gas processing industries. For several years he was also joint owner/MD of a Hong Kong-registered company. Colin and his wife Jean, a piano teacher at the Durham Cathedral Chorister School, have three children who hold a total of six degrees from four universities and are all “off-the-payroll”! Colin is a member of Durham County Cricket Club and a long-suffering Newcastle United supporter. He has been a college tutor since 2013.